I ran into someone the other day at the grocery store who attended a Getting the Love You Want Workshop with her partner a few years ago. She stopped me in the produce section and asked if I remembered her. I told her she seemed familiar but that I was sorry I could not place her. She reminded me that they had attended our workshop and she wanted to thank me for saving her marriage. I was quite uncomfortable because I know I did not save her marriage. Not even close. Still, she seemed intent on thanking me. What I realized as I said good bye was that it was our workshop that had saved her marriage. She said that coming to the workshop was a last ditch effort for them. She also shared with me that her husband had no interest in attending before they came and she had said that if he didn’t attend she would leave him. After many years of unhappiness and poor patterns of communication, she was “done”. This is a very common experience for many couples and too many wait until it is almost too late to attend. It puzzles me. Why would people wait until it is almost too late to learn relationship tools that could make their lives together more meaningful? Don’t people want to be happy? 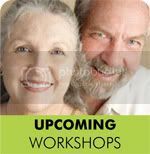 Why do people avoid attending, thinking that a couples workshop is not for them? I believe the one word answer to this is FEAR. People are afraid because they may think it will make things worse or that they will have to air their dirty laundry in a group situation. Both of these fears are completely UNTRUE but it makes sense people might think them. One thing that the woman told me at the grocery store was that her husband said he wished he hadn’t been so stubborn and would have attended the workshop earlier as it was one of the most positive things he’s ever done. That’s a big confession from someone who almost lost his marriage! This was such a revelation to me. I don’t really know what happens to people after they complete the workshop if they don’t keep in touch. So hearing from this woman put into perspective how powerfully positive it can be. If you or someone you know wants to positively transform their relationship tell them to come to a Getting the Love You Want workshop. Sometimes we don’t know how something can change our lives until we do it. Our next one is October 23-25 2015. Dare ya- Get yourself and your partner to a workshop! 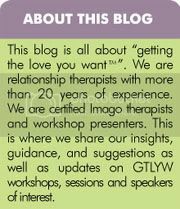 Maureen here – writing from the annual Imago conference in Florida – recently more research was published that demonstrates Imago works. In this particular study there were changes in the couples’ brain (how cool is that!) after the workshop and these changes remained constant if the couple continued to dialogue, either at home or with the support of a therapist, or if they attended follow-up seminars that keep the Imago journey alive. 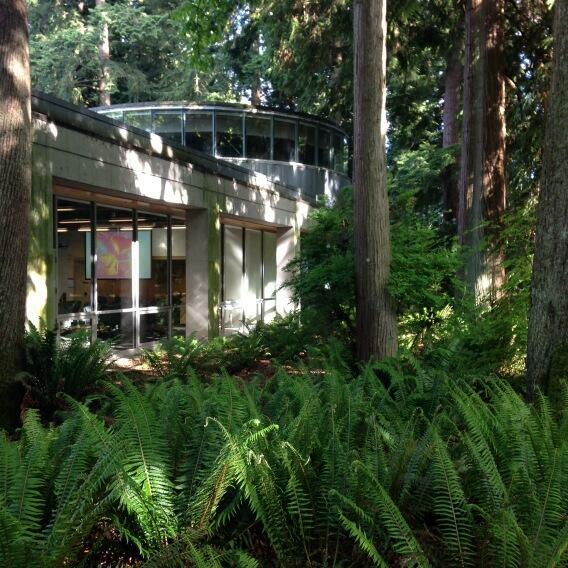 We just ended our weekend Getting the Love You Want workshop at the beautiful Liu Centre for Global Studies at UBC. I can’t even begin to write about how inspiring it was. As usual the couples arrived on Friday, feeling anxious and tentative about what was going to occur. Some even looked as if they wanted to run out of the room. As the night progressed, however, and we built safety together they were more able to relax. There was laughter, curiosity and much hope that they would feel positive change throughout the weekend. By the end of Friday evening we made a pact that we would all work our hardest to end all negativity, criticism and blame for the entire workshop and replace it with curiosity. If anyone fell off the wagon everyone agreed we would apologize and get back on track as quickly as possible. That in itself created hope and the opportunity to see one’s partner through different eyes. By Saturday morning everyone was more open and patient. Then the transformation really began. Each partner worked to create safety in their relationships and the energy of the group helped everyone to feel supported to work they needed to do. Wow -what an honour it was to work with such amazing couples who really want to look at themselves and grow in their relationships so that they can be the partners they want to be. Everyone worked so hard and the benefits were clear. By Sunday night the love in the room was palpable. What a pleasure it is to facilitate a workshop where people actually make the shifts they need to so that they can continue on their relationship path with respect, new found commitment and so much love in their hearts. Dare ya– For everyone who was at the workshop make sure you make a time to have a couple’s dialogue this week. For those of you who weren’t at the workshop please come to our next workshop November 14-16, 2014 and find out what all the fuss is about ! Last week Harville and Imago Therapy were featured on Oprah Winfrey’s new OWN series Oprah’s Lifeclass. Lesson #18 topic was “Do Your Eyes Light Up When Your Child Walks in the Room?” and the subject of the class is one of Oprah’s favorite topics: how everyone just wants to be appreciated or validated. View the clip on Oprah.com. This post has been kindly shared by Imago Relationships International. 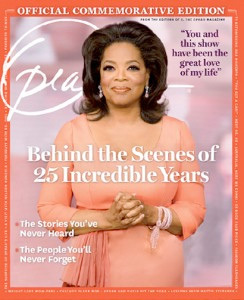 Oprah Winfrey just released a special commemorative issue of her magazine to celebrate 25 years of the Oprah TV show, and Imago founder Harville Hendrix was featured as her #2 “Aha” moment. Oprah writes about how she saw her relationships in a completely new light after the 1988 TV show, when Harville taught that “you’re unconsciously drawn to your partner, because that person can heal your old unresolved wounds.” Oprah saw that a relationship is more than a romance. It’s a Spiritual Partnership, about growth and healing. Fortunately the relationship needn’t end in that power struggle. Harville and his partner Helen LaKelly Hunt developed Imago to help couples move into a stage of romance they call simply “true love”. In a 2001 Oprah article, Harville explains how to use the Imago dialogue approach of mirroring, validating and empathising to work through the power struggle, and restore connection. Maybe that is why Oprah has occasionally let slip on TV that Harville is among her favorite couples therapists. Imago not only makes relationships clear and easy to understand, it provides couples with practical solutions that they can apply too. 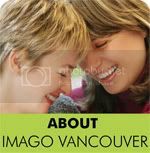 You can find some great information about Imago on the Oprah site, with practical guides on how to restore the romance to your relationship. Harville’s message has had such a powerful influence on Oprah that in the intervening years she has invited him back to her show 17 times. In May 2011 when she reviewed her 25 greatest lessons from the show, Oprah described a 1993 show which changed her relationship with her partner Stedman, and attributed the survival of their relationship to Harville’s insights. The Oprah magazine has brought some of Harville and Helen’s newer work to the public attention too, such as their work together on Receiving Love. In a touching personal article for the magazine, Helen shares her “Aha” moment when she and Harville were also struggling in their relationship, and discovering together just how hard many couples find it to actually let love into their hearts and overcome the resistance that often stems from deep rooted self-hatred. With 25 years of Imago on the Oprah show to celebrate, there’s new discoveries still emerging from Harville, Helen and the thousand or more professional therapists they have trained around the world. Imago Relationships International congratulates Oprah Winfrey on 25 years of her show, and appreciates all that she has done to bring deeper connection to many couples, and thereby help bring peace to the world.